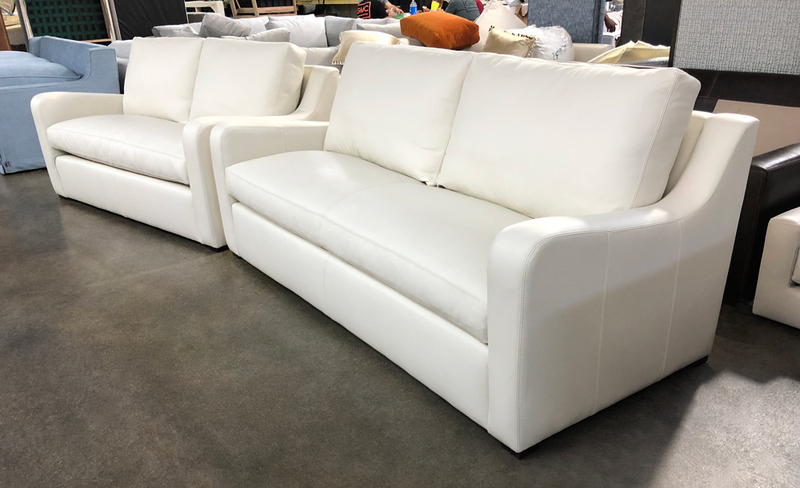 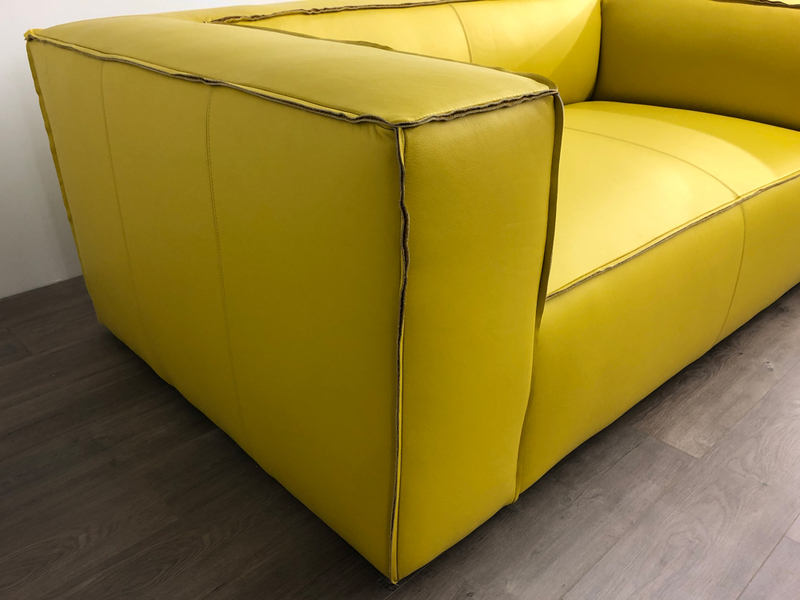 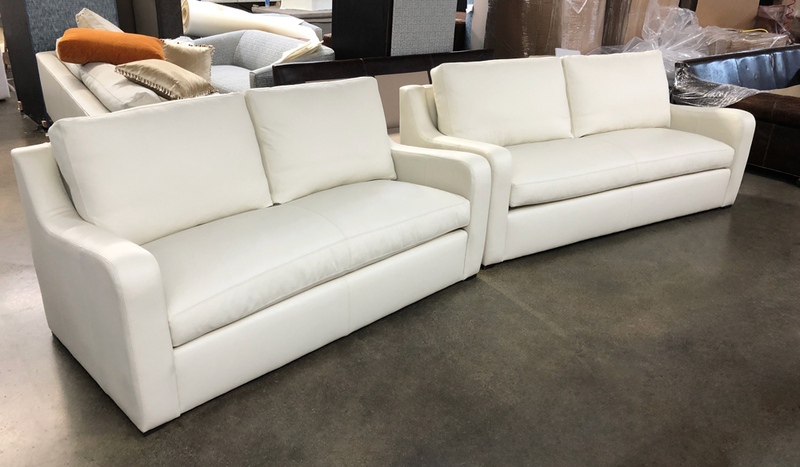 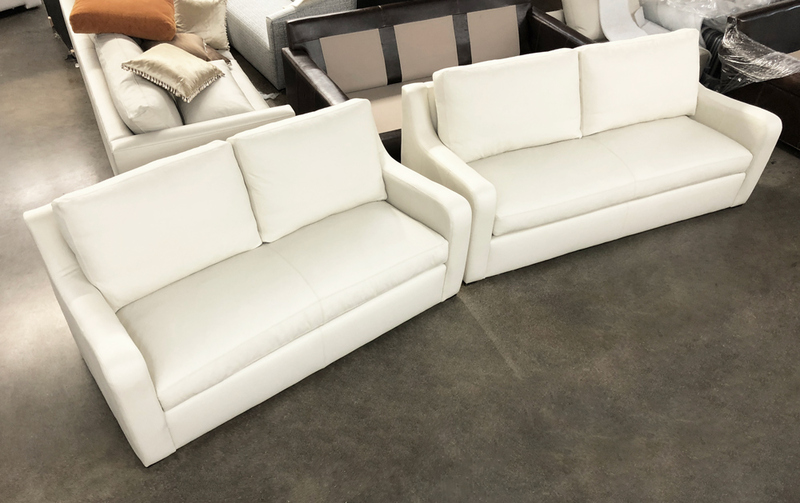 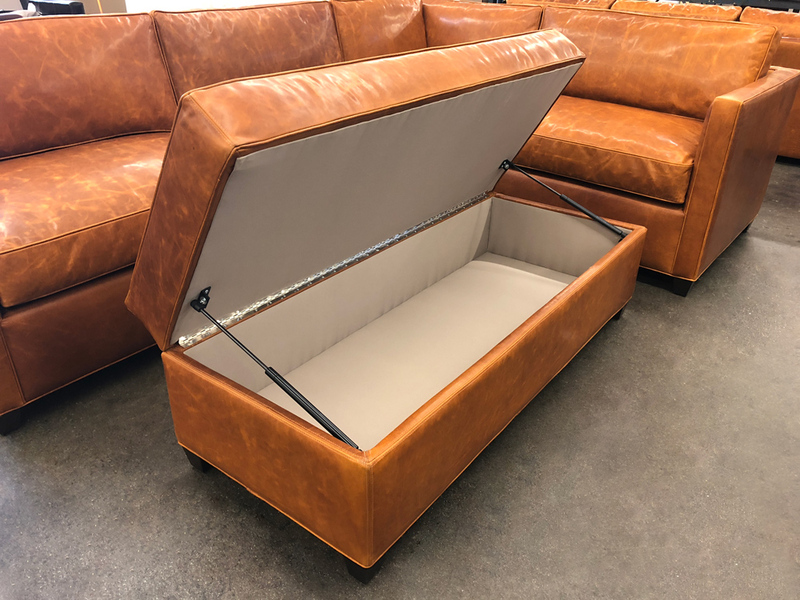 This customer made a bold statement with these two Julien (Belgian) Slope Arm Sofas in our Jet Soul White leather, a Full Grain Pigmented Leather finished in Italy. 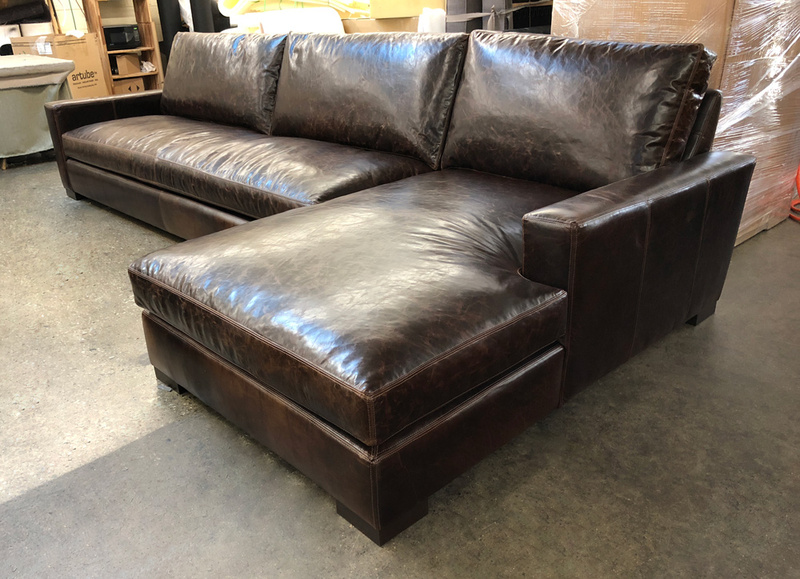 This leather is thick and durable, yet amazingly rich and soft. 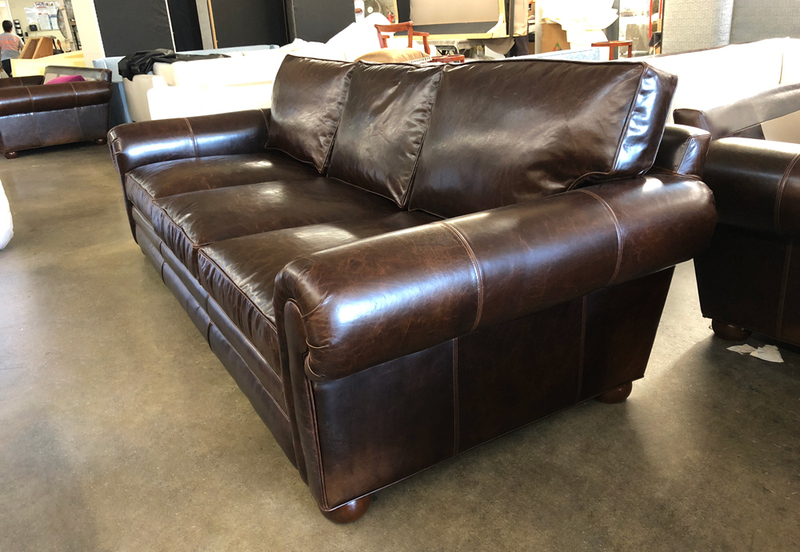 Jet Leather is available in a wide variety of colors, and has very consistent color throughout. 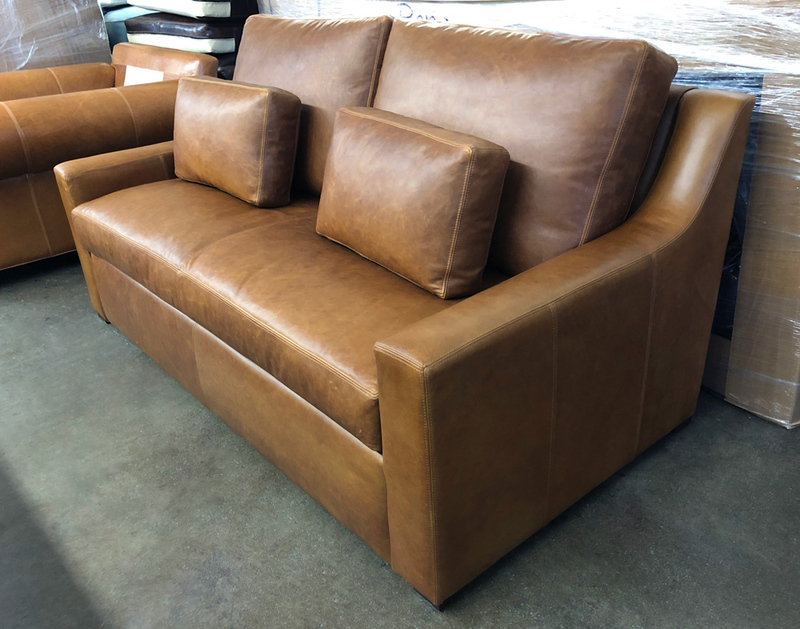 As is the case with all of our American Made Leather Furniture Collections the Julien sports Feather and Down envelopes in the seat cushions with channeled bags of Feather and Down in the back cushions and is available with your choice of True 8-way Hand Tied Suspension, or Heavy Gauge Sinuous Spring Suspension. 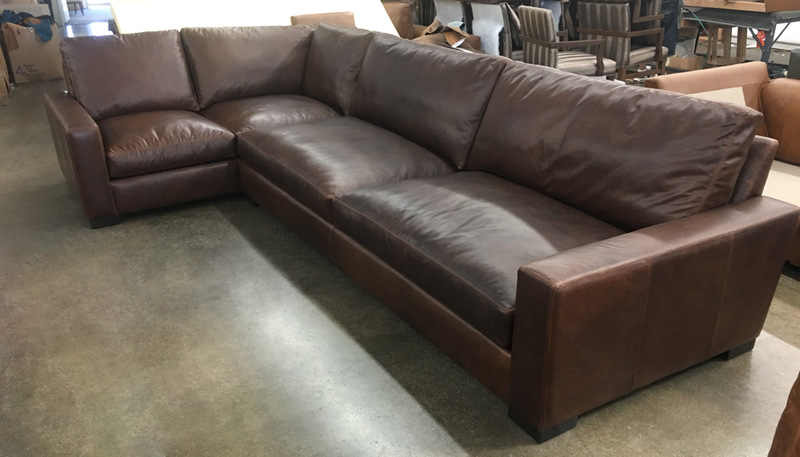 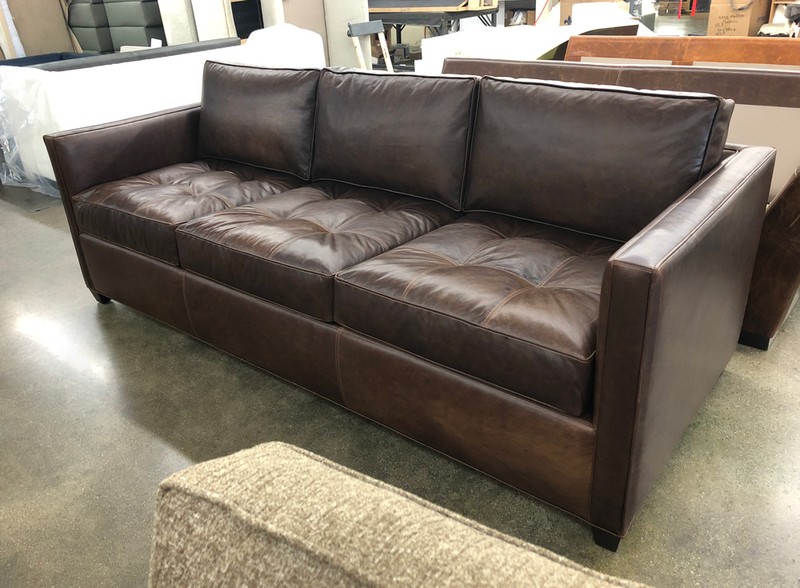 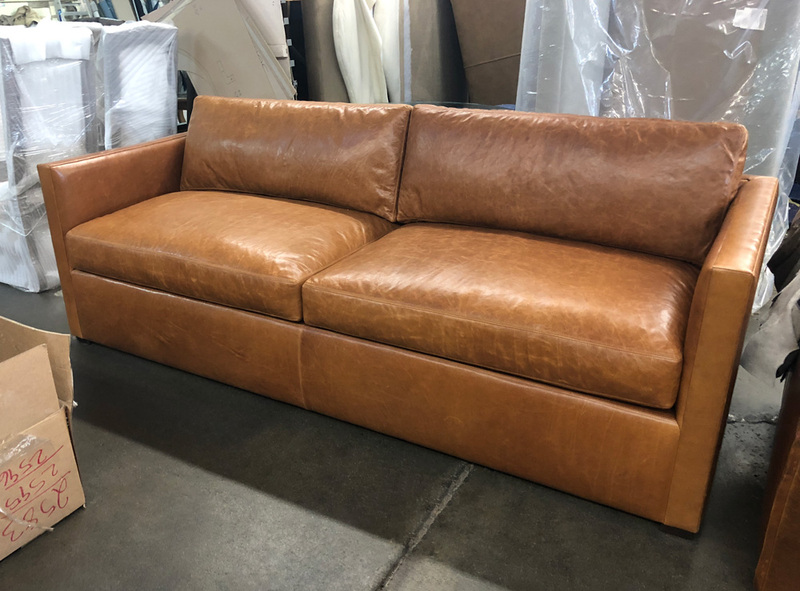 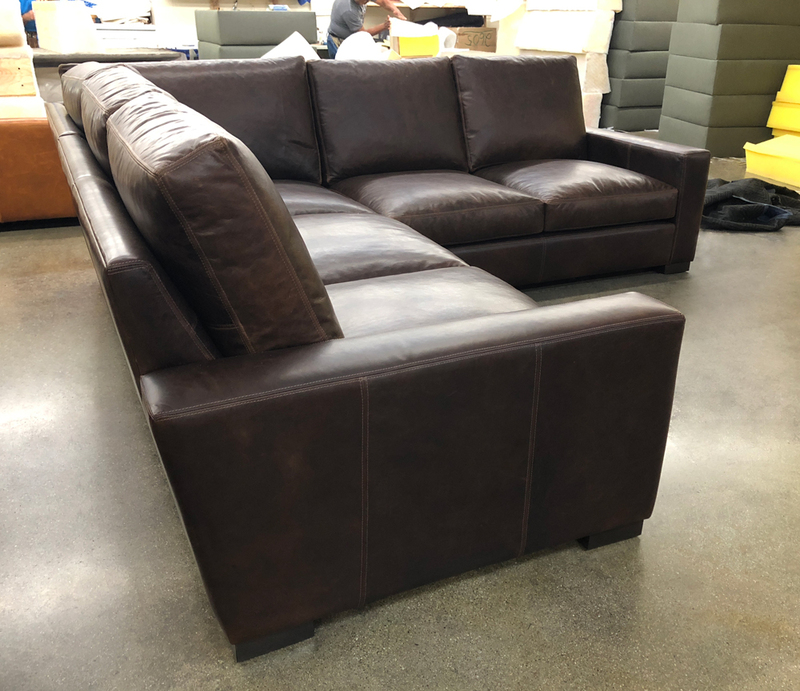 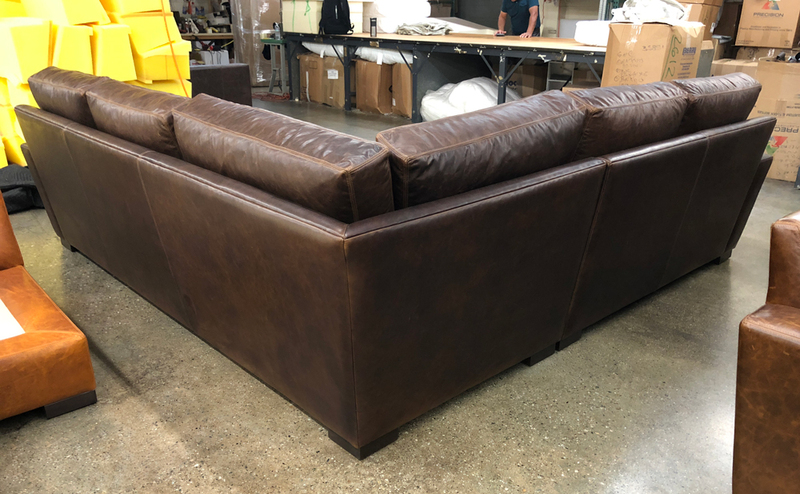 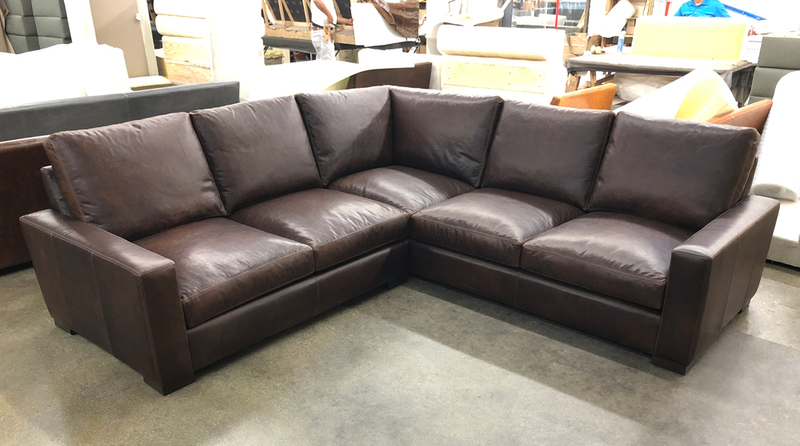 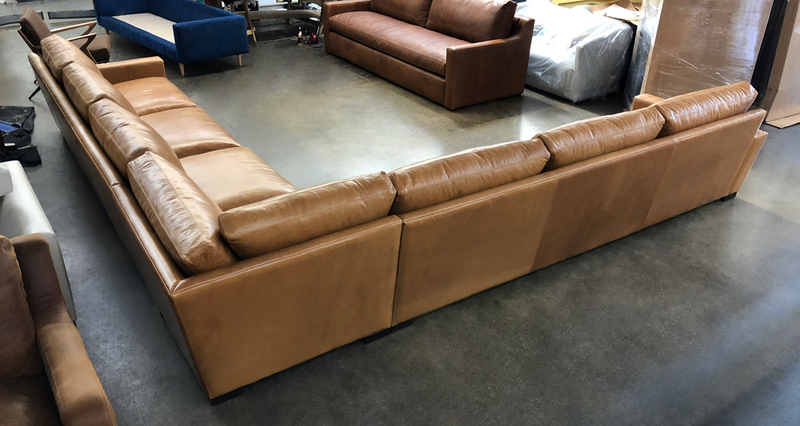 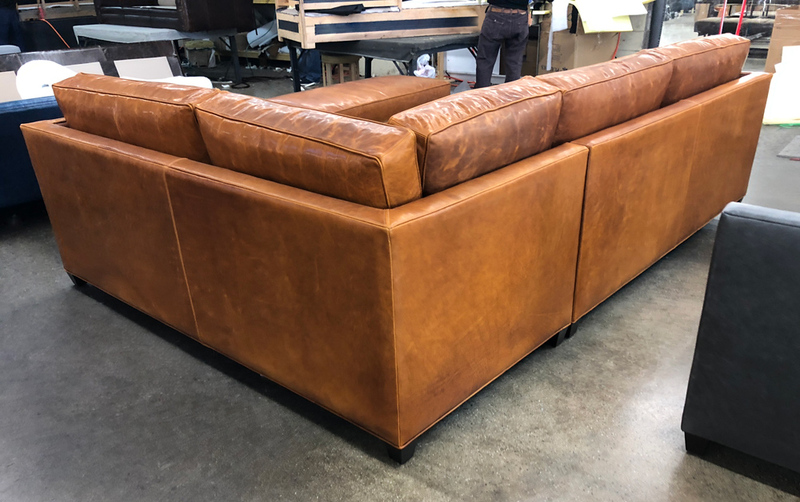 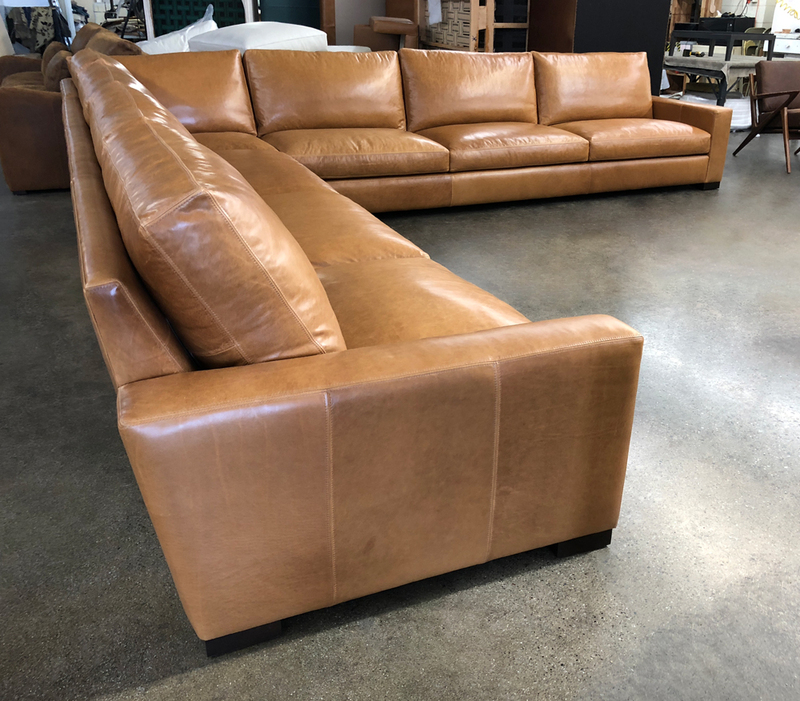 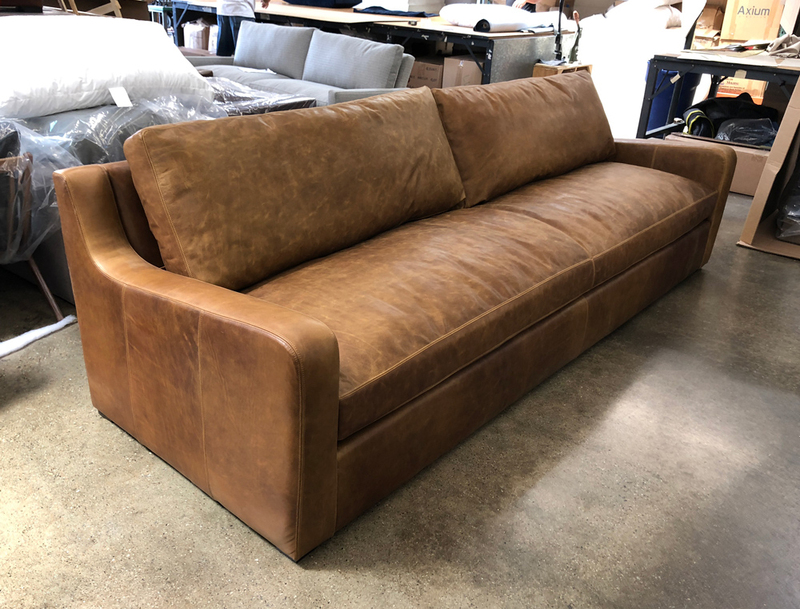 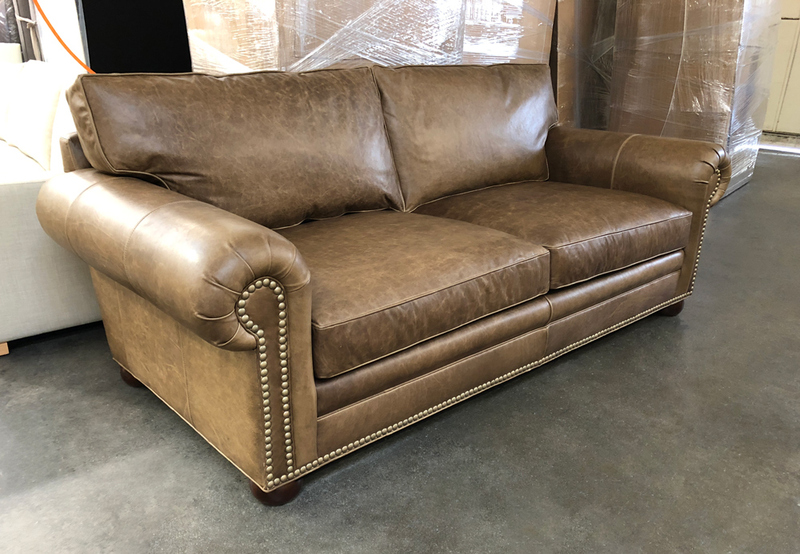 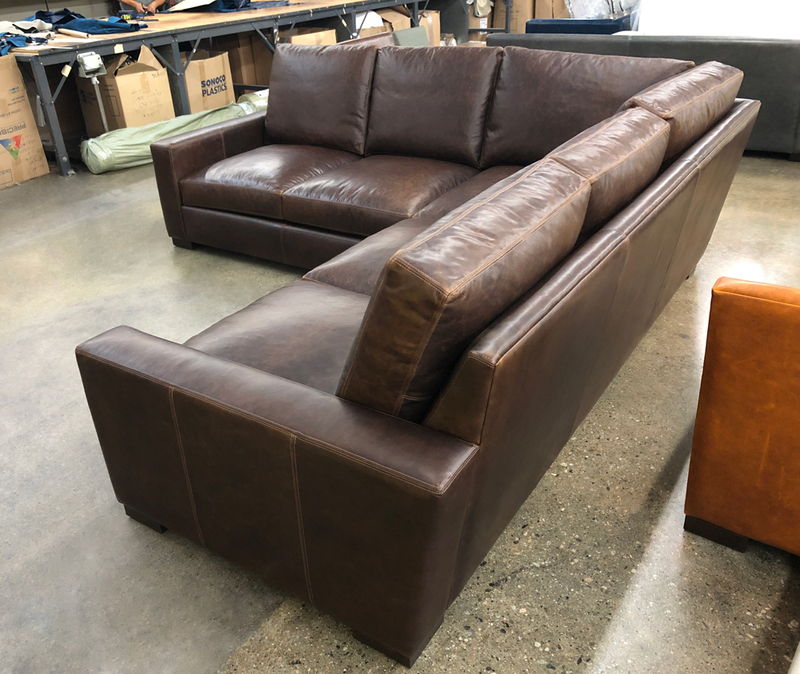 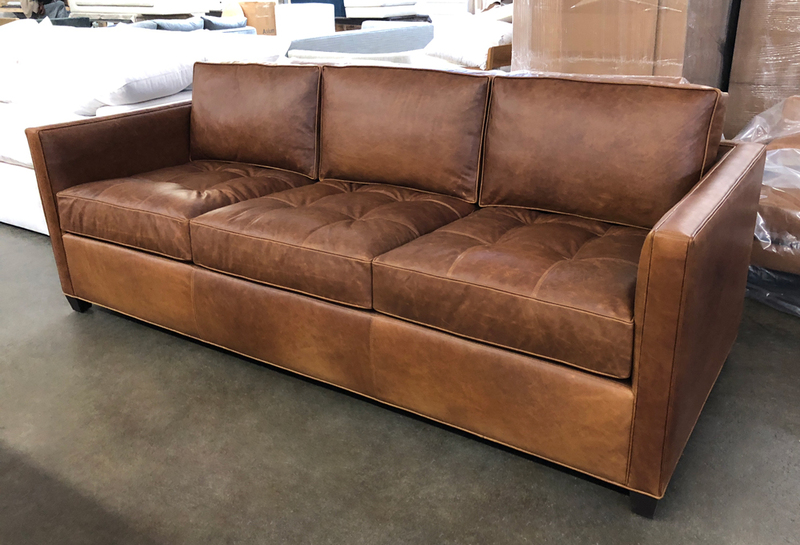 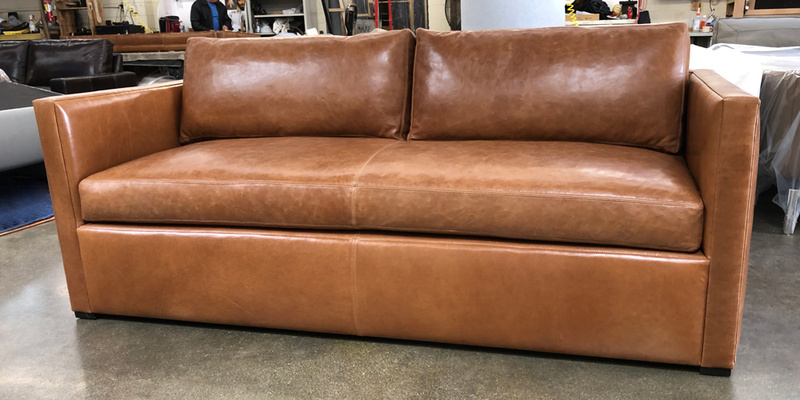 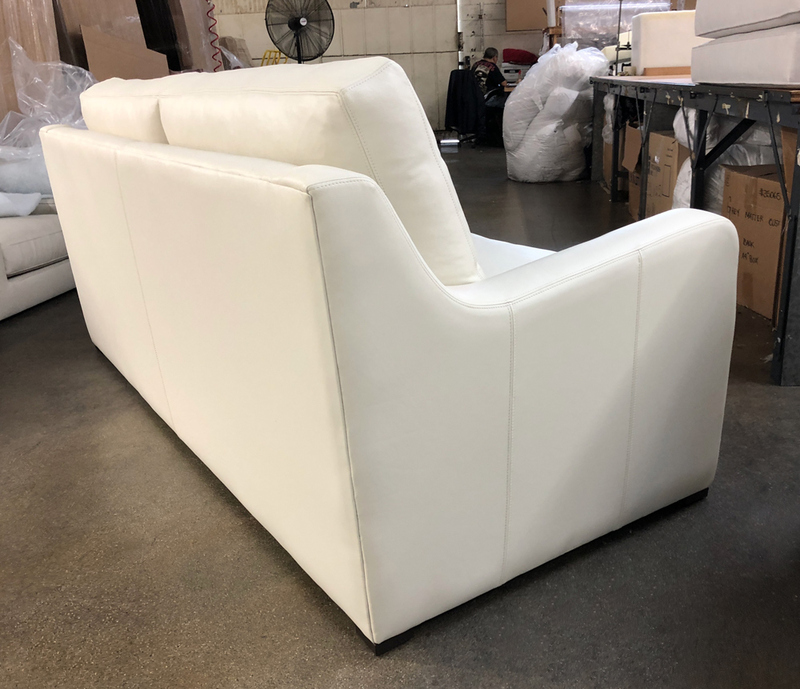 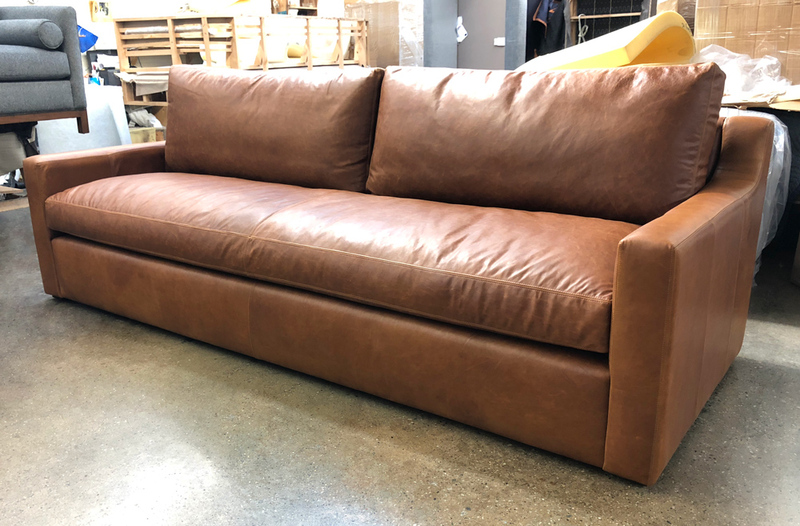 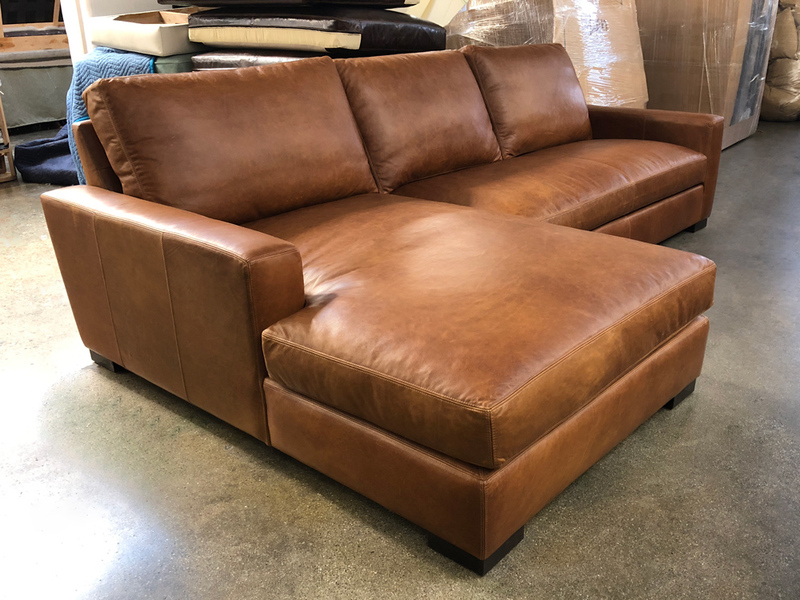 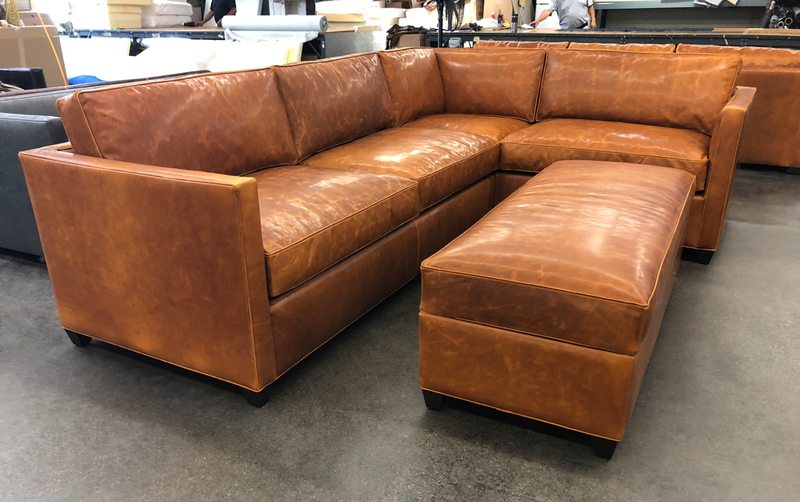 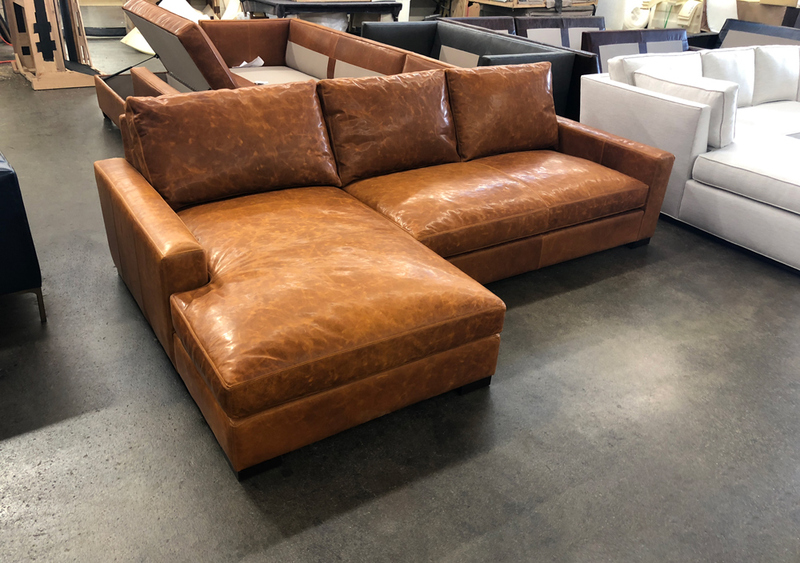 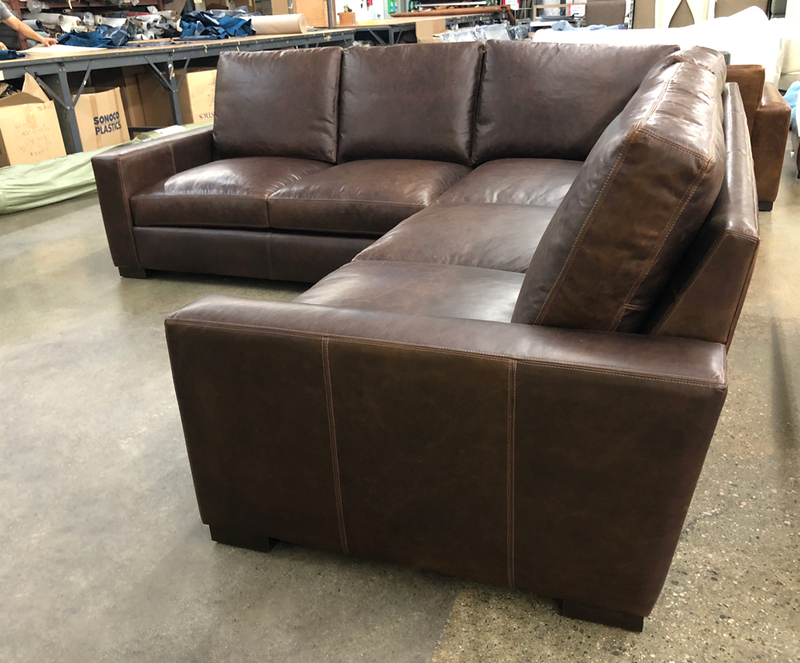 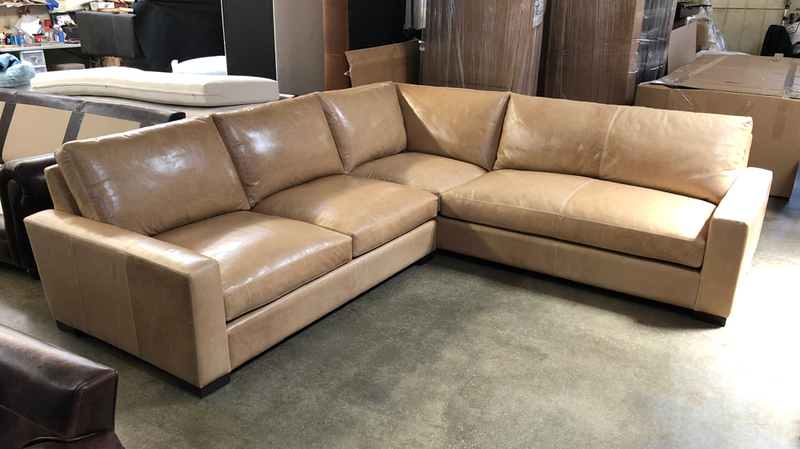 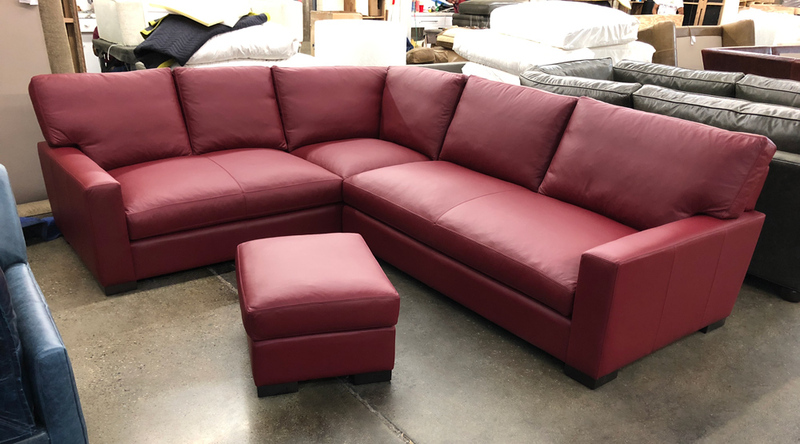 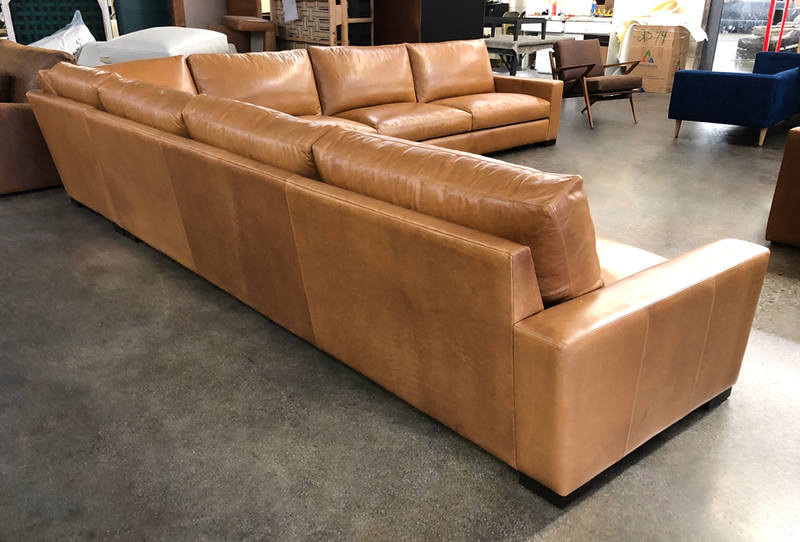 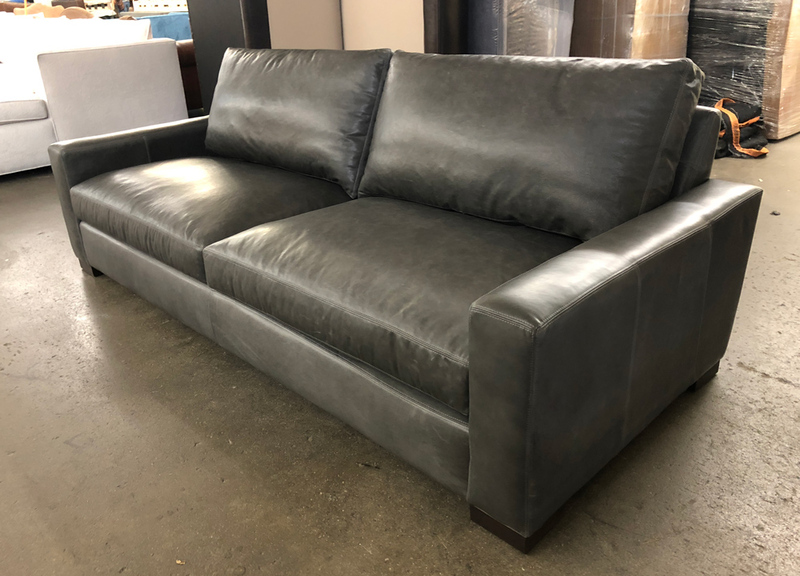 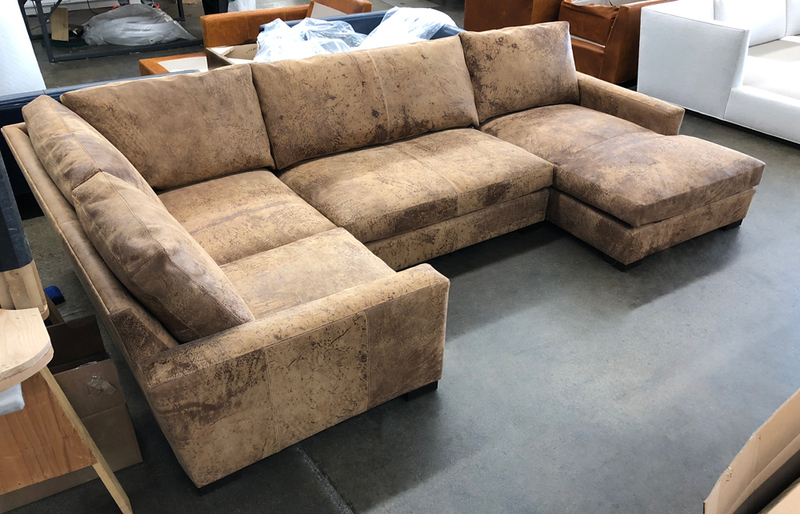 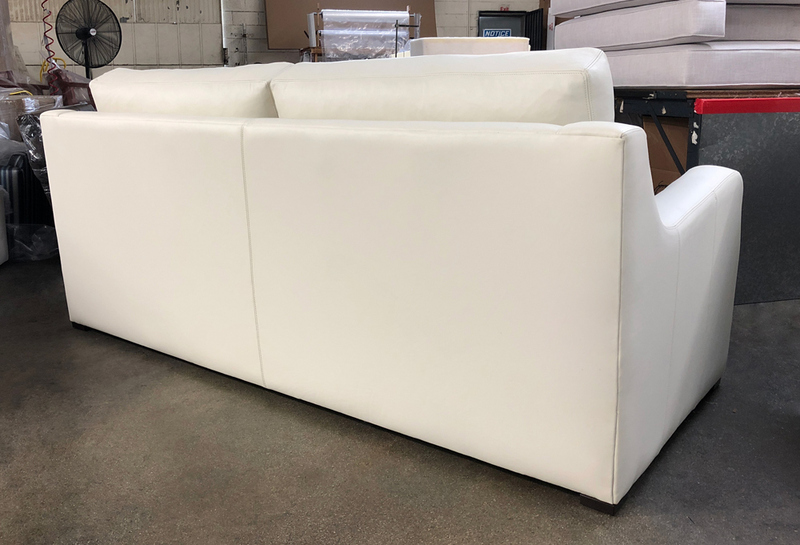 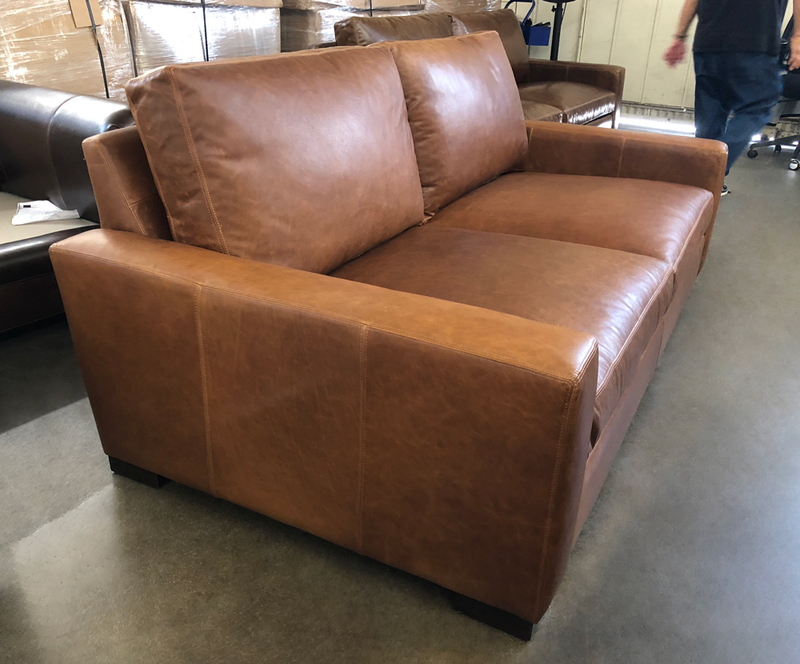 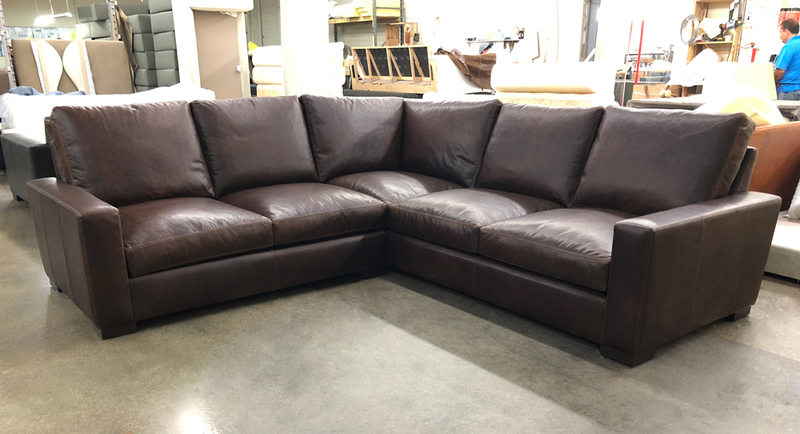 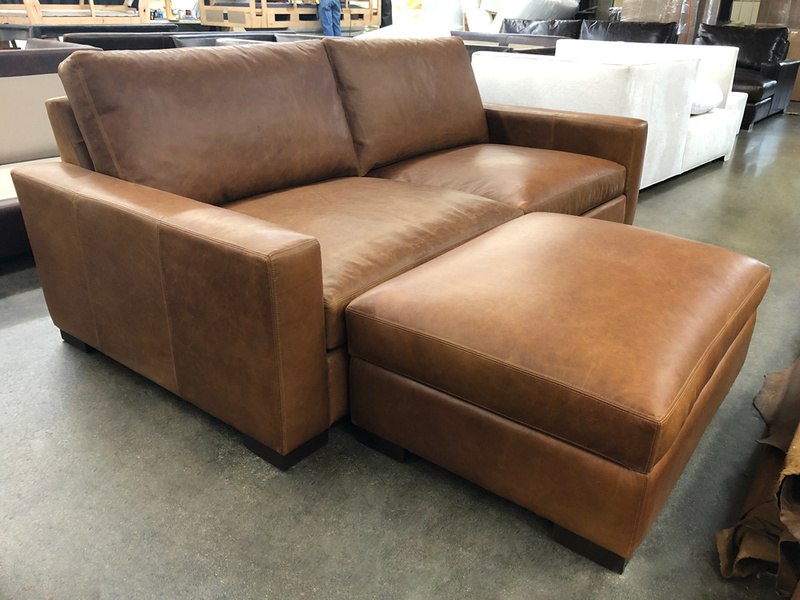 This entry was posted in Custom Leather Order Feed, Julien and tagged 38" Deep, Belgian Slope Arm Sofa, full grain leather, Italian Jet Soul White Leather, Jet Soul White, Julien Leather Collection, Julien Leather Sofa, Julien Slope Arm Leather Sofa, Pigmented Leather on August 17, 2018 by LeatherGroups. 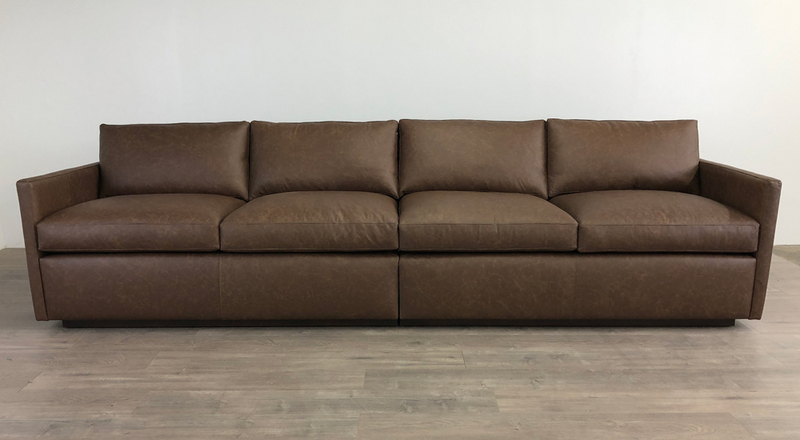 Italian Brompton Cocoa is a Full Grain, Full Aniline, Waxed Pull-up Leather. 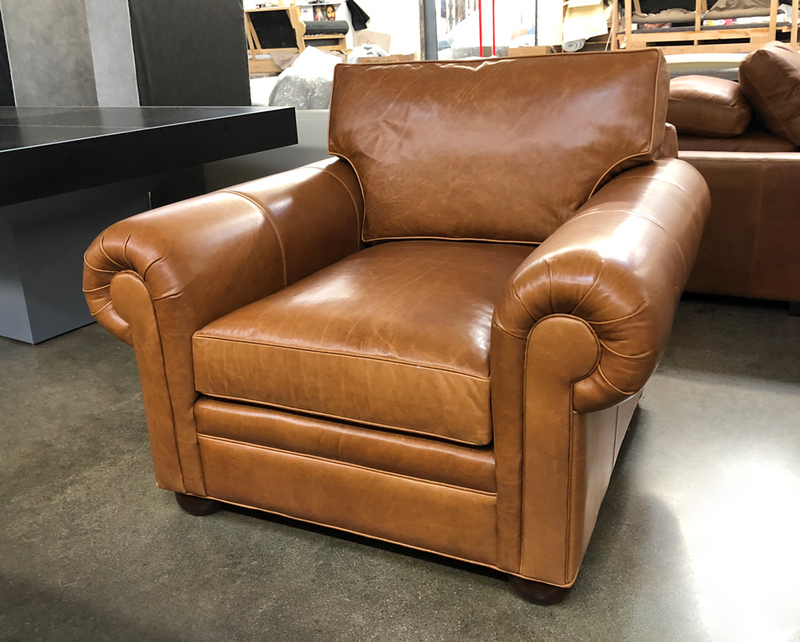 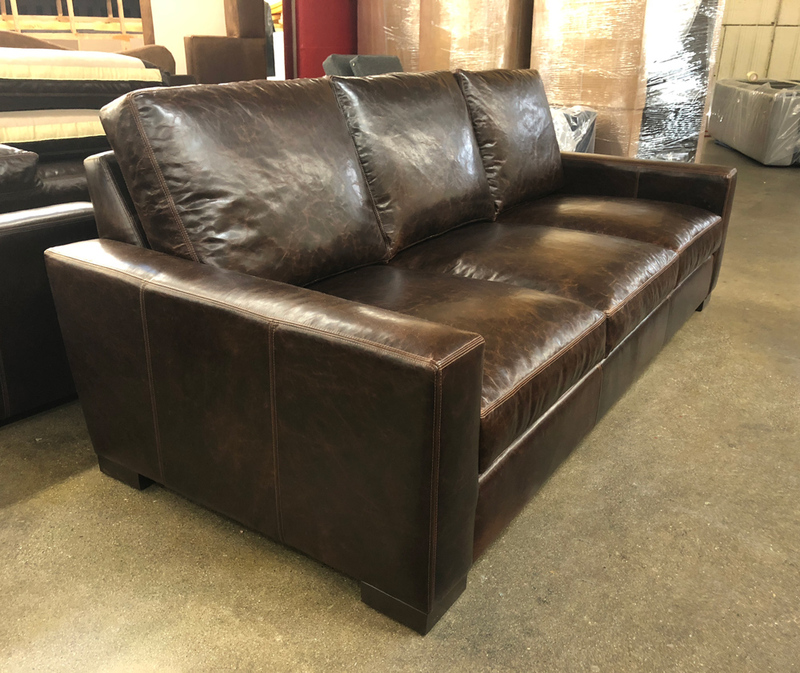 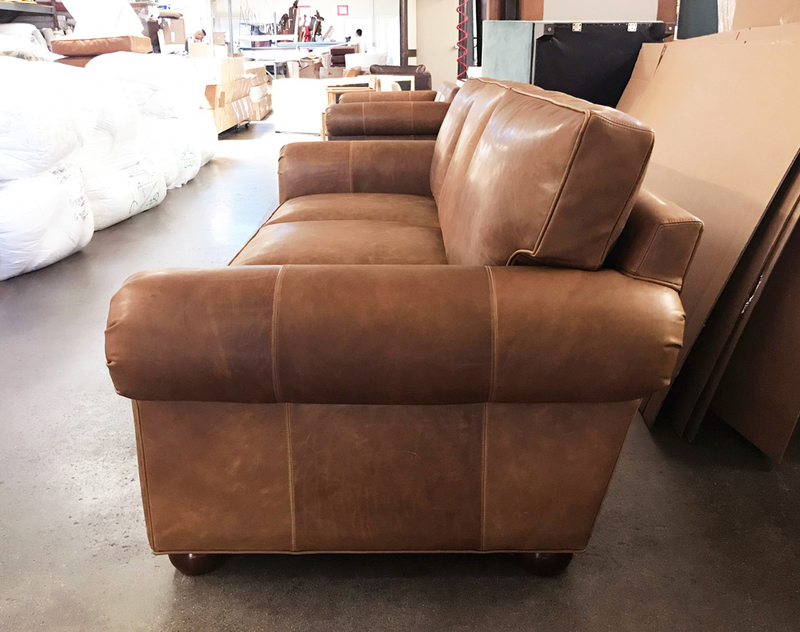 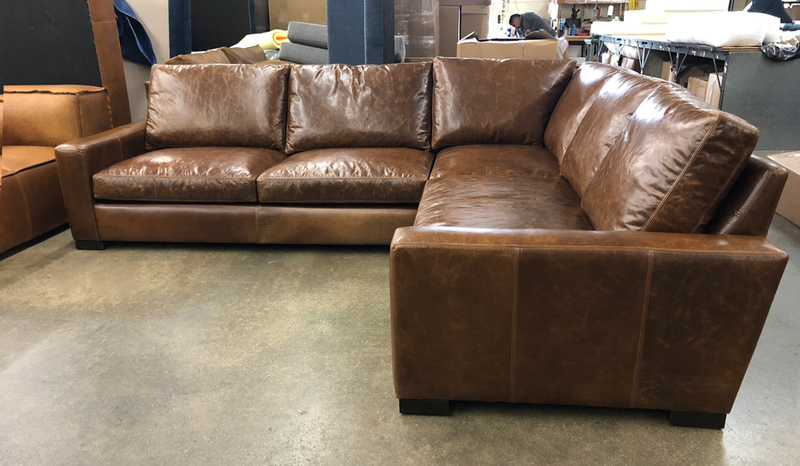 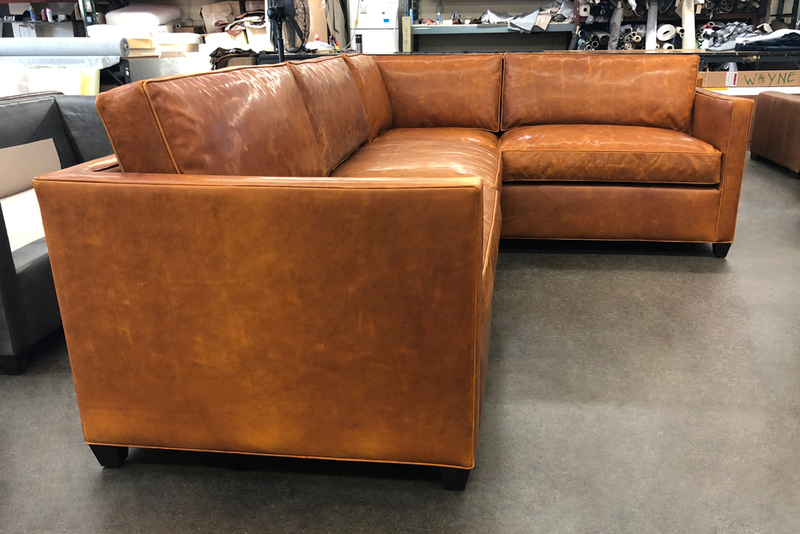 This leather will display natural characteristics, markings and color variation of the European hides used to produce it, and will mark, scratch, and distress as the leather develops a “vintage” patina. 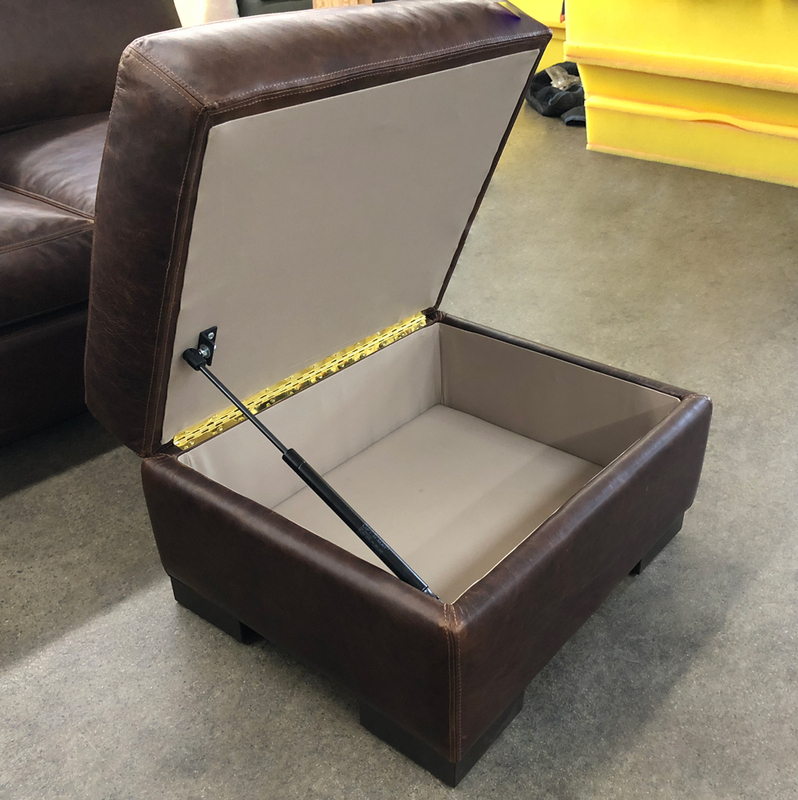 This entry was posted in Braxton, Custom Leather Order Feed and tagged 46" Deep, braxton collection, braxton grande corner sectional, braxton leather sectional, braxton sectional, Brompton Cocoa, full aniline, full grain leather, Italian Brompton, Italian Brompton Cocoa, Italian Brompton Leather, maxwell leather collection, maxwell leather sectional, No Ears on August 3, 2018 by LeatherGroups. 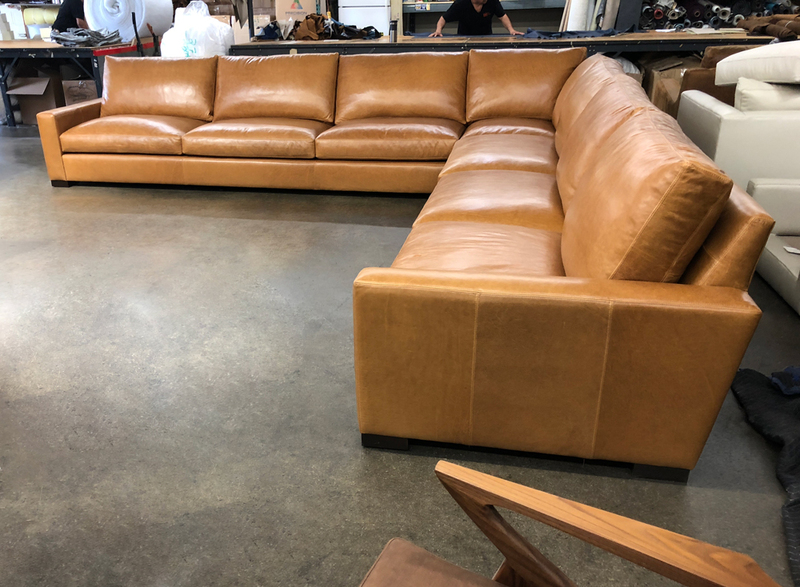 tell your guys nice work on the shipping prep. 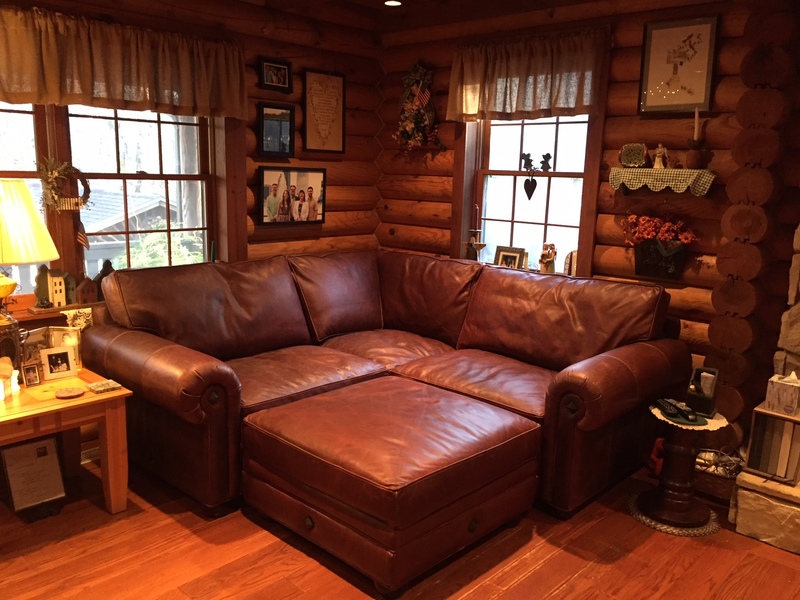 happier with the finished product. 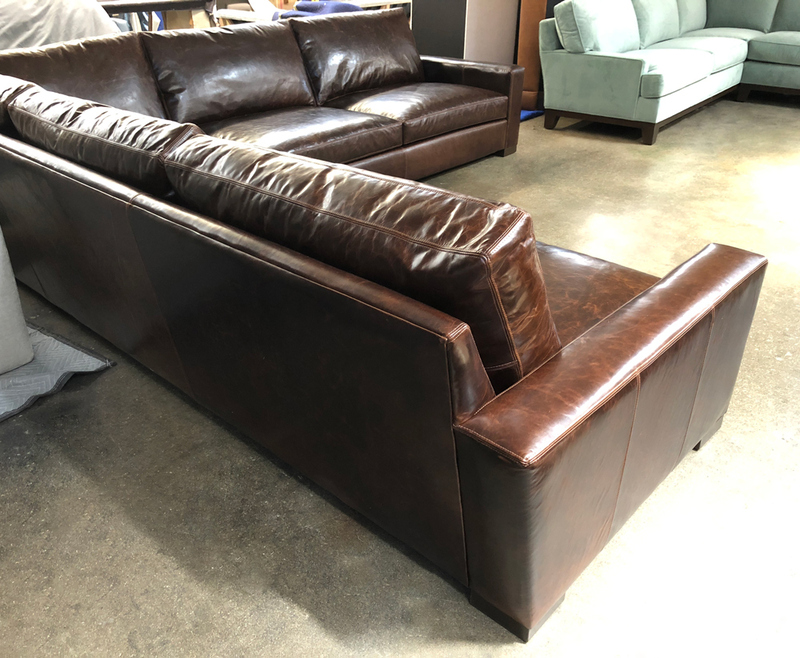 We are very thankful that we ended up choosing (and trusting) you to build our sofa, corner sectional + ottoman. 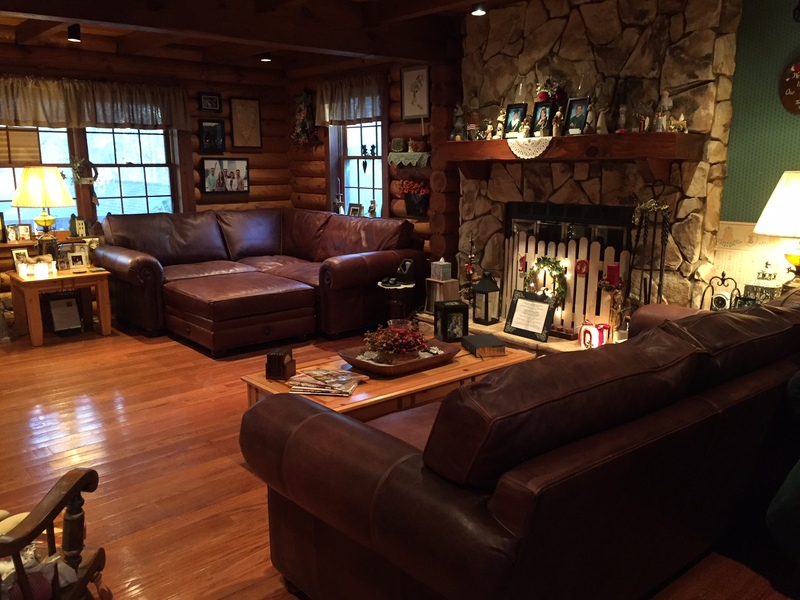 and think we could not have made a better choice. 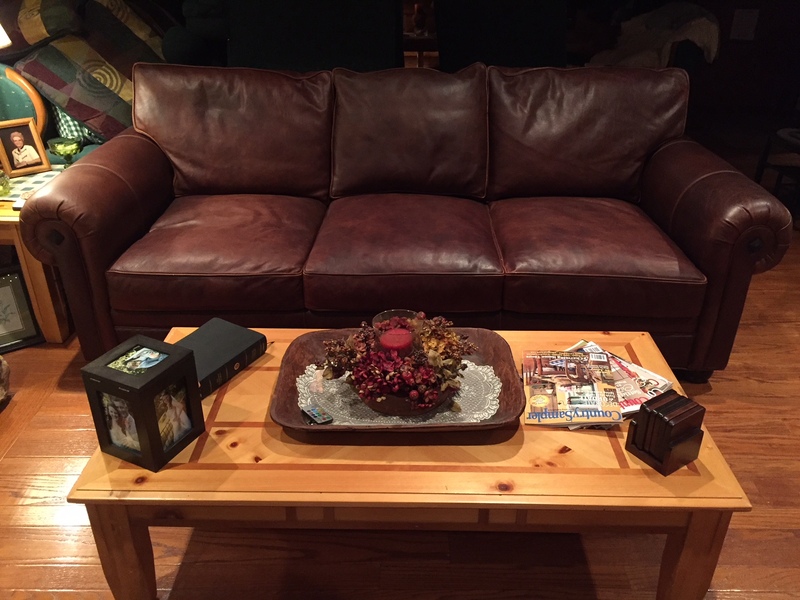 Thanks to all & take care. 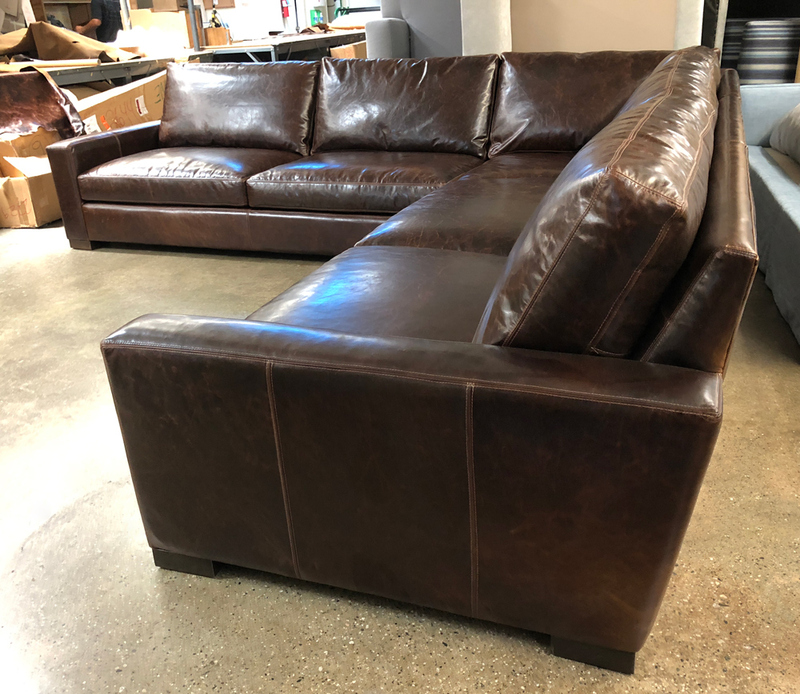 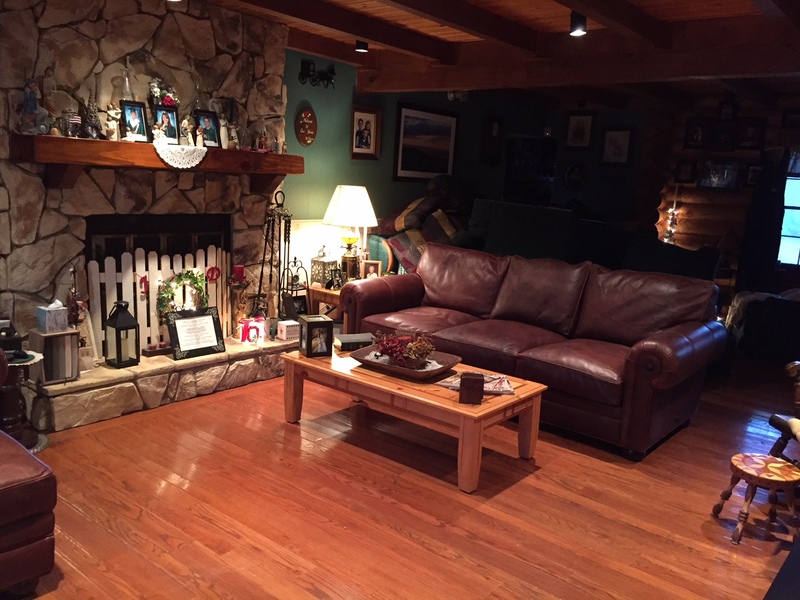 This entry was posted in LeatherGroups.com Reviews & Testimonials on July 15, 2018 by LeatherGroups. 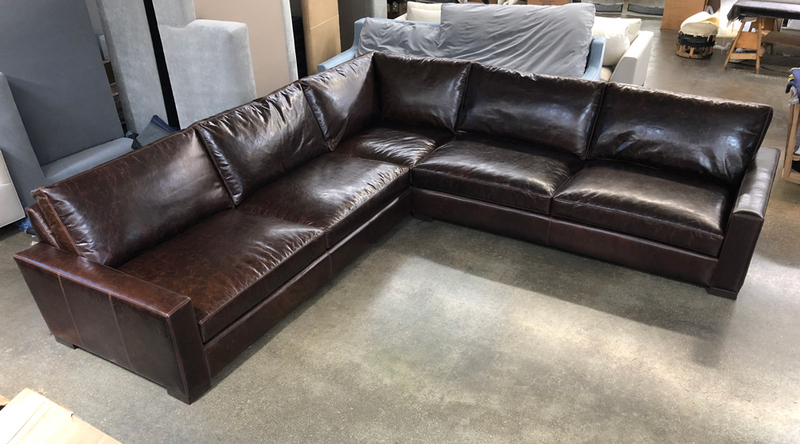 This entry was posted in LeatherGroups.com Reviews & Testimonials on July 11, 2018 by LeatherGroups.